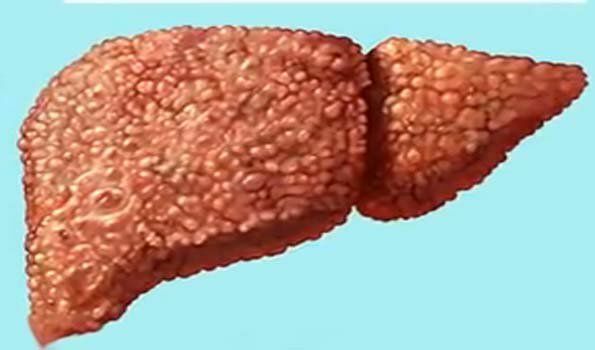 Kolkata: Cirrhosis of the liver is the end stage of chronic liver disease caused by long-term exposure to toxins such as alcohol or viral infections.The liver is the largest organ in the body and one of the most essential. It is about the size a football and is located on the right side in front, just below the lower rib cage. It produces substances that help fight infections and clot blood, filters toxins and infectious agents out of the blood, helps in the digestion of certain nutrients from foods, and stores energy for later use. These are just some of its many functions in the body.Among the many liver disorders that can lead to cirrhosis, some progress rapidly (years) and others more slowly (decades)Cirrhosis is the scarring of the liver ? hard scar tissue replaces soft healthy tissue. It is caused by swelling and inflammation. As cirrhosis becomes worse, the liver will have less healthy tissue. If cirrhosis is not treated, the liver will fail and will not be able to work well or at all.Chronic alcoholism is one of the leading causes of cirrhosis of the liver. Drinking too much alcohol can cause the liver to swell, which over time can lead to cirrhosis. The amount of alcohol that causes cirrhosis is different for each person.